An airplane registered to James Horner crashed in Los Padres National Forest in Southern California (around 60 miles north of Santa Barbara). The pilot died in the crash and was the only person aboard. Though the crash victim was not immediately identified, Variety later confirmed Horner’s death. His singular sound graced some of the biggest moments in the history of movies. Horner was an accomplished concert hall composer before he moved into writing film scores. His first was for The Lady in Red, but he did not establish himself until he worked on Star Trek II: The Wrath of Khan. He also collaborated multiple times with George Lucas, Ron Howard, Steven Spielberg, Mel Gibson, and Oliver Stone. Horner composed music for over 100 films, and won two Oscars and two Golden Globes. He prolifically scored for major productions, including Braveheart, Cocoon, Field of Dreams, Aliens, Glory, An American Tail, Honey I Shrunk the Kids, Legends of the Fall, The Perfect Storm, A Beautiful Mind, Clear and Present Danger, The Pelican Brief, Patriot Games, How the Grinch Stole Christmas, Willow, Apollo 13, The Mask of Zorro, and The Amazing Spiderman. Somewhere Out There was another tune masterfully imagined by the maestro. Horner created the 2006-2011 theme music for the CBS Evening News. It was introduced as part of the debut of Katie Couric as anchor on September 5, 2006. 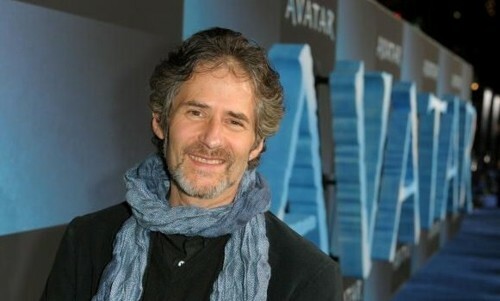 James Horner, one of the essentials composers in cinematic history, was 61. This entry was posted on Monday, June 22nd, 2015 at 10:27 pm	and is filed under Blog by Manny Pacheco. You can follow any comments to this post through the RSS 2.0 feed. Responses are currently closed, but you can trackback from your own site.